Ellen Davis' "Tangled Up in Blue" exhibit depicts an emotional and mental state burdened by the weight of 18 Alaska winters. 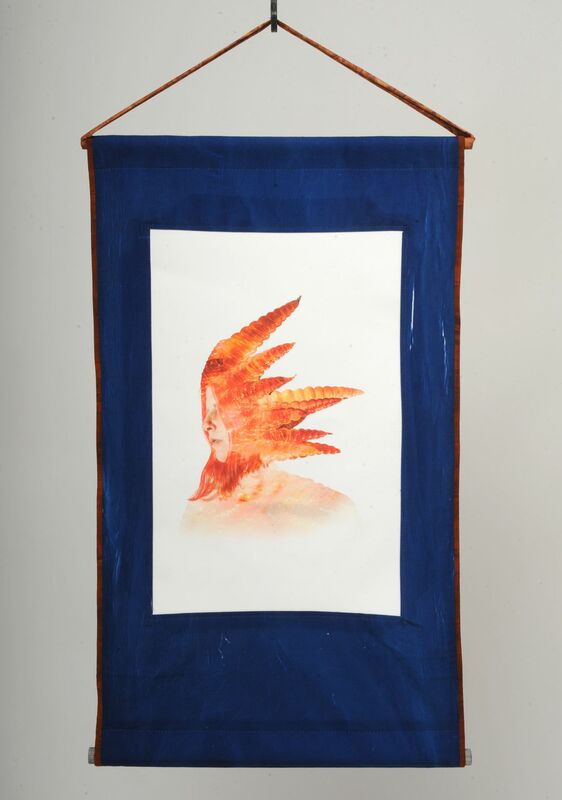 The title, borrowed from a Bob Dylan song, perfectly describes the 14-piece series of dyed rich blue fabric pieces with moody, manipulated images of the artist in the center. The piece Davis used to advertise the show is practically a literal interpretation. "The line of my shoulders and my hair are being blended in with these tangles of blue and it's hard to know where I am and where the background is," she said of the signature piece. "Where do I end and where does the depression begin? I felt like I was just being absorbed by it." Last year, Davis decided she couldn't take one more winter and moved back to her native Nevada City, California. 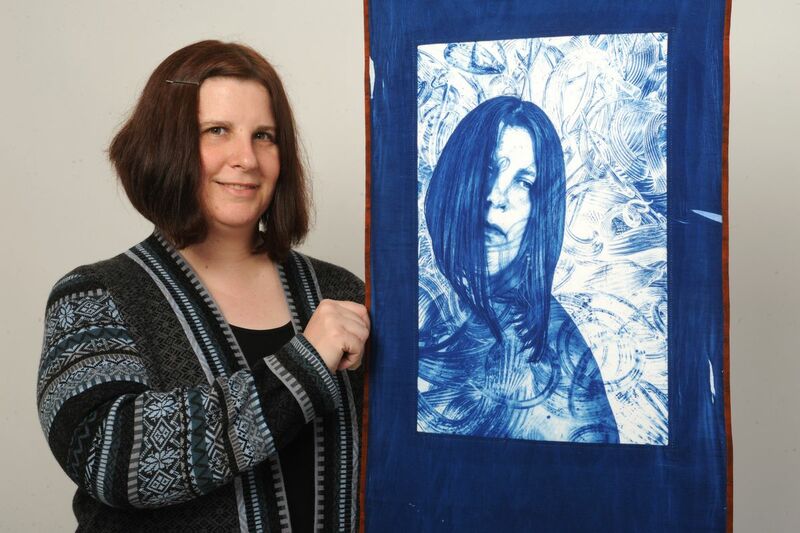 This week, she's in Anchorage for her show, which will hang at Becky Gallery in Midtown through May 31. "At first winter was kind of a novelty, but slowly, over the years, it just got to be harder and harder to cope with," said Davis, who has a history of depression. 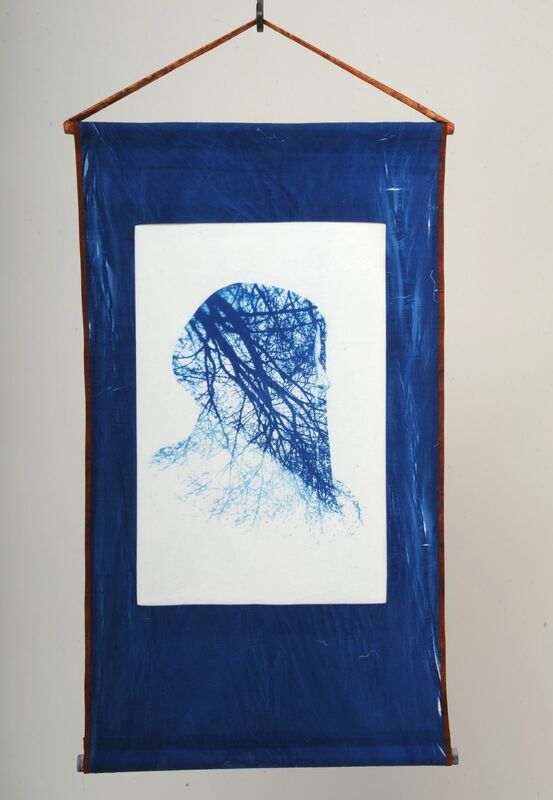 Using a printing process called cyanotype, Davis concocted "Tangled Up in Blue" three years ago in a University of Alaska Anchorage photography class. A bad roommate situation worsened her mental condition and she was reaching her breaking point, she said. Davis detailed her depression with references to favorite artists and traces of American tragedies. One piece merges the curves of Chihuly glass work with her image. In another, Davis transferred the cracks and crevices she photographed at the Manzanar National Historic Site — formerly a Japanese-American internment camp — onto her own broken self. She said she wants the exhibit to help others endure dark days. "If it can open up a conversation about depression and ways to confront it, that would be one thing I hope people would get out of it," Davis said. Opening reception 4:30 p.m. Friday, Becky Gallery, 701 W. 36th Ave. Post-reception viewings are by appointment only. Call 907-244-0707.